Centex Freestyle is now home with Karen and Zelda (fellow greyhound was sleeping- not pictured) in Cincinnati. 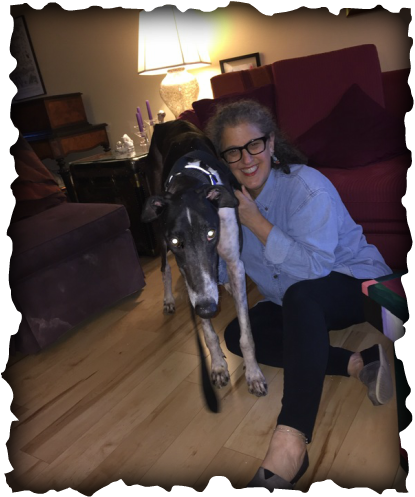 Karen has had greyhounds for years and years and was down to one and just knew she needed to add another one to her family. Centex Freestyle, new name to come soon, walked right in to Karen's home and checked out the place and then went head first into the toy bin! After a long walk, he was perfect through it, Karen knew this was her dog! Centex Freestyle is going to be very spoiled!